Readers Aloud, founded at EES by Paul Marden, brings into the classroom adults of all ages from the Essex community who have a genuine enthusiasm for reading. 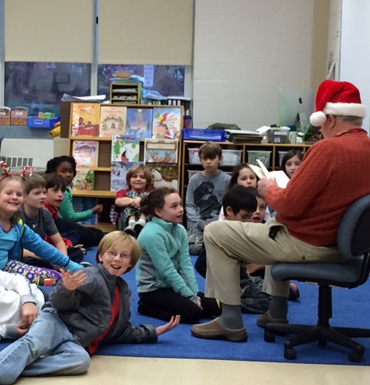 Volunteers visit EES once a week and read to a classroom for a half an hour. This program has proven to be mutually beneficial to volunteers and EES students as they learn together through reading aloud and developing keen listening skills.